The Greater Copenhagen Cluster Summit 2018 gathered clusters and stakeholders in Greater Copenhagen for the second time on May 8, in Malmö. The purpose with this year’s Greater Copenhagen Cluster Summit was to highlight the clusters’ importance to development and smart specialisation in Greater Copenhagen. The main hypothesis during the day was that economic growth and job creation demands a needs-based approach where regional policy makers and cluster organizations are able to identify future development areas and cooperation. Gerd Meier zu Köcker, one of the leading cluster experts in Europe and Executive Director of Cluster Agentur Baden-Württemberg, was invited as keynote speaker to enable the process. Meier zu Köcker has developed a method to intensify cross border collaborations between clusters, both national and regional. 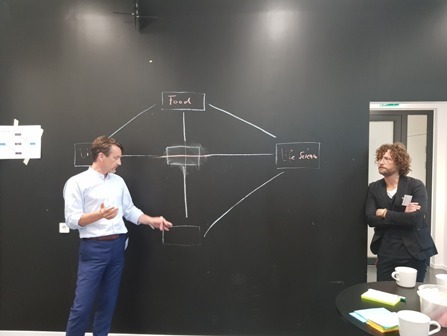 After an introduction, Meier zu Köcker held an interactive workshop on the topic of smart specialisation, where the participants jointly identified transformative activities within the region. The purpose of the exercise was to prioritize the various activities taking place throughout the regions, in order to use the limited amount of resources available in an effective manner. When the prioritization part of the workshop was completed, potential action plans were discussed for how to make the activities possible. 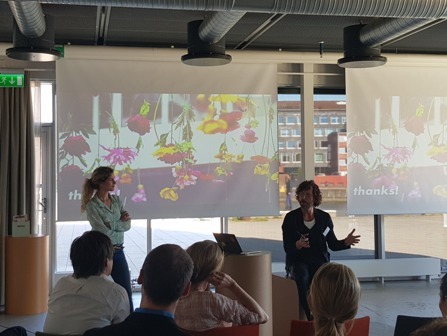 To benefit the development of cross-border collaboration among the cluster organisations, a couple of financing opportunities were presented from Region Skåne and the Interreg Öresund-Kattegat-Skagerrak secretariat. Region Skåne announced that they will finance up to three cluster collaboration pilot-projects within the Greater Copenhagen area with up to 300,000 SEK during 2018. 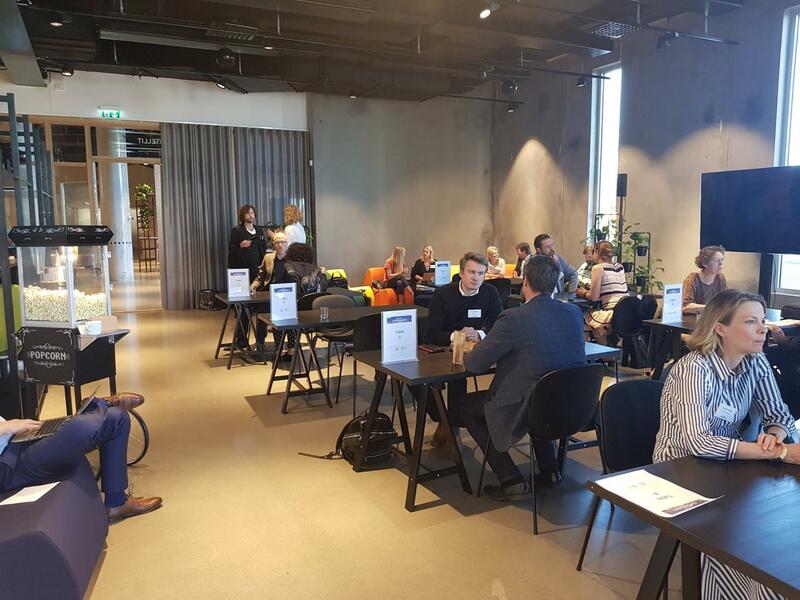 A matchmaking event was held during the afternoon, where the participants were given the opportunity to book meetings with each other to find new and exciting opportunities for collaboration. 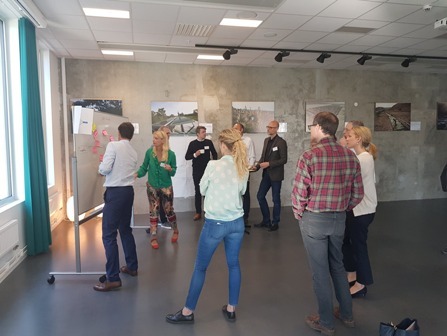 By the end of the day, the Skåne cluster Media Evolution invited the participants to their facilities for inspiration and sharing of best practices. This was greatly appreciated by Merete D. Nielsen, Director, Cluster Excellence Denmark, among others. “We also had the great pleasure of visiting Media Evolution located in Malmø. Their work is really impressive - engaging many entrepreneurs and more established companies. A very good example of the local commitment and the ability of creating something that stands out international”. The day was all about a mindset of collaboration in order to grow the region, but also a strong belief in future partnerships between clusters on both sides of the Öresund. Greater Copenhagen is a metropolitan region that spans Eastern Denmark and Skåne in Southern Sweden. The Greater Copenhagen Collaboration is a political platform for promoting regional collaboration and economic growth aiming to eliminate the cross-border barriers that prevent economic growth and business development in the region. In close dialogue with business and other key players in Greater Copenhagen, the Greater Copenhagen Collaboration launches strategic initiatives to generate economic growth and create jobs in Greater Copenhagen. Greater Copenhagen has a thriving landscape of almost 50 clusters in key sectors such as: energy and cleantech, production and materials, ICT, life sciences, transport & logistics, creative industries, industry and food. The Greater Copenhagen cluster landscape engages at least 5,400 companies. 60 pct. of the clusters represent more than 100 companies and 35 pct. have more than 200 companies.